We’ve been working hard to get the Employer’s Requirements documentation ready, along with Structural Solutions and Box20; we’re pleased our pack is all ready to go off to the Contractors! 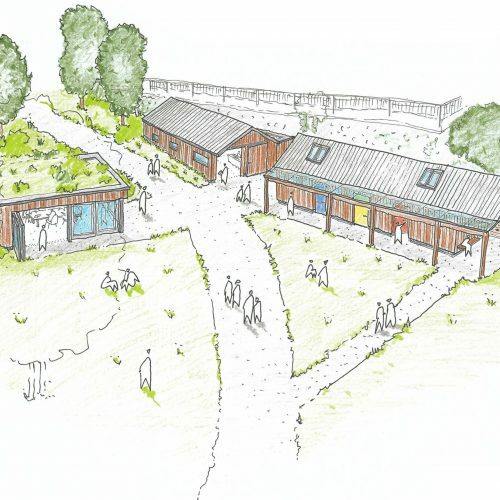 We’re delighted to announce Planning permission being granted for our proposal at KingsWeston Reservoir Bristol, on behalf of our client Bright Green Futures and pioneer self-builders. Frustratingly, it took over a year (after submission) for the scheme to finally go to committee, where it received unanimous support! 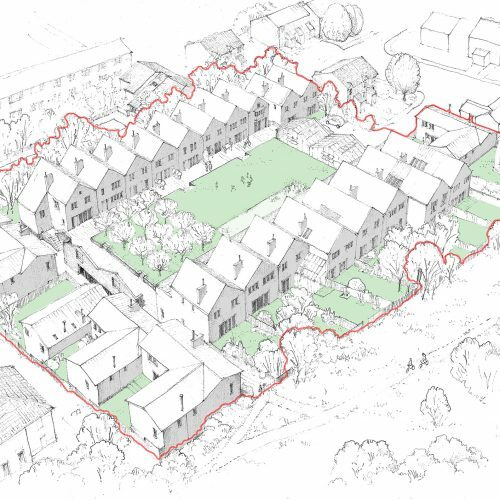 This exciting scheme is well worth though, and we’re due on site in Spring 2019! Thames Lido was Highly Commended in the ‘Historic’ category of the Awards, losing out to ‘Storyhouse’ in Chester. While we’re disappointed not to have won, it’s great to see the Lido competing with projects with budgets 10 times larger! In addition, the Lido was delivered for roughly half of the £/m2 … relatively speaking, we’ve done a lot with a little. After being nominated by Reading Civic Society, Thames Lido has been shortlisted in the 2018 National Awards. 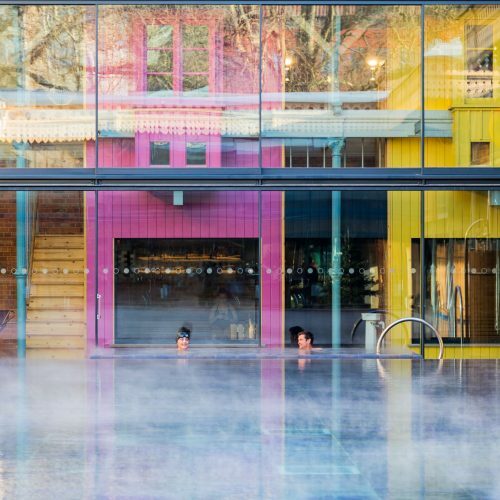 Thames Lido is one of 12 schemes which has been shortlisted across England, for their ‘high quality design and positive community impact’. There are four different categories, and the Lido is placed in the ‘Historic’ category. 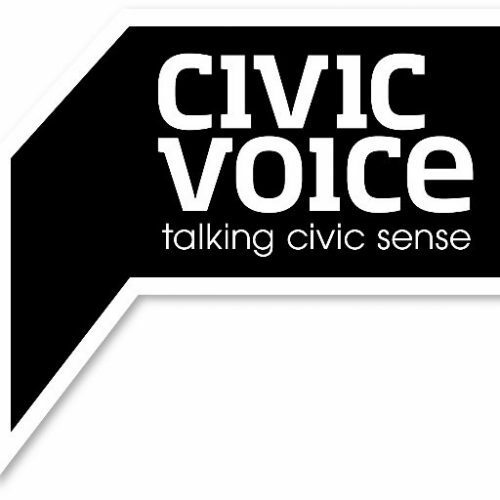 If you like to support the Lido please follow this link:https://www.civicvoicedesignawards.com/2018-shortlist and click on the ‘heart’. 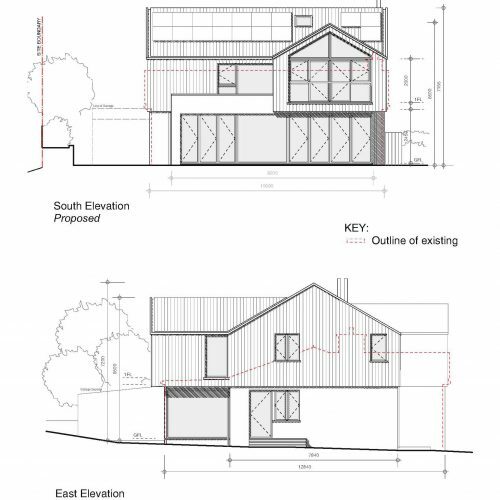 We’ve obtained planning permission for this family home in Cornwall. A refurbishment and large scale extension of an existing bungalow is proposed, which creatively re-uses of the existing structure and services, to minimise waste and help keep construction costs down. 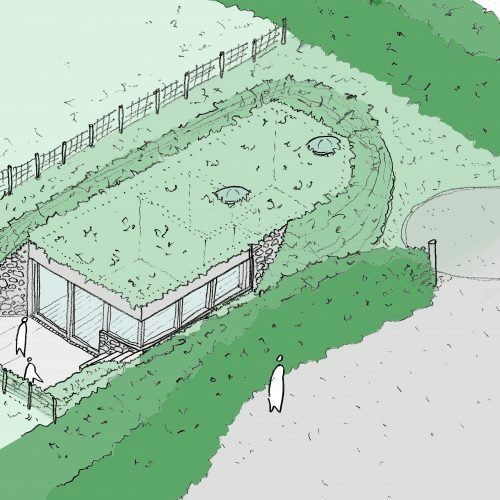 The site borders an AONB, so the proposals maximise the expansive views (where the current bungalow did not), whilst improving environmental performance and responding to the expanding accommodation and life style needs of the family. The scheme is now proceeding towards a start on site. 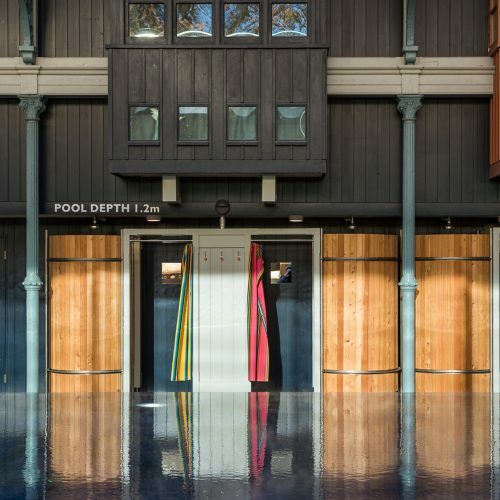 We’re delighted to announce that the recently completed Thames Lido has been shortlisted for the Building Conservation and Tourism and Leisure categories of the 2018 National RICS Awards. We’ve been working on the conversion of a subterranean reservoir tank in Cornwall, to provide accommodation. The conspicuous scheme offers a creative reuse of a redundant asset, which is sensitive to its wonderful coastal setting. After four years of involvement, we’re delighted to see the end result. It really is a special place. The team on site have done a meticulous job, and it’s been a pleasure working with the Lido team again! 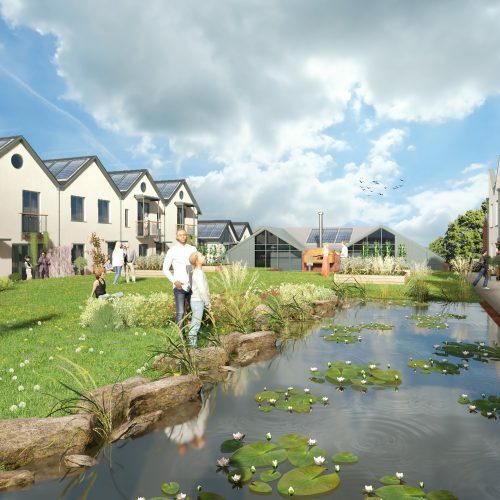 The ‘Waterlilies’ scheme will provide 33 homes around a former reservoir. 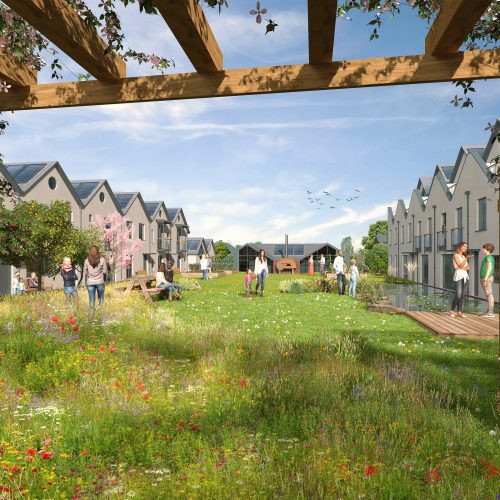 The designs have been worked up with Bright Green Futures, Community Self-build Developer, and the pioneer self-builders themselves. We’re very nearly there at Thames Lido. 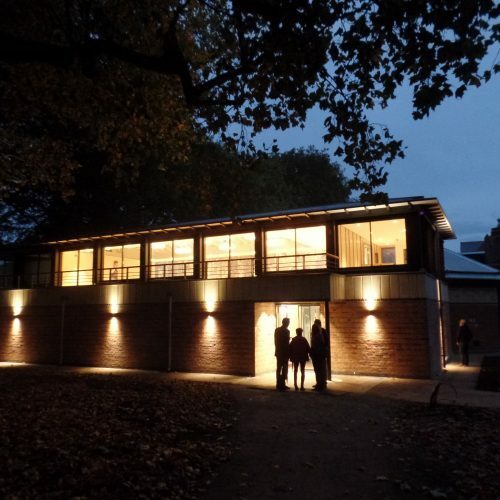 Lovely to the see the building at nigh; here is the new function room extension. We’re not far off Practical Completion at Burwalls Lodge, and it settling into the garden nicely! August 2017 – Planning APPROVAL at Egypt Mill. 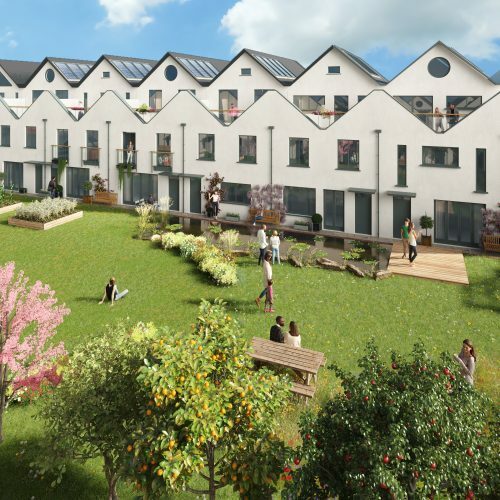 We’re delighted to have achieved Planning Approval at Egypt Mill, Nailsworth – for their Embankment Hotel scheme, proving 17 apartments, ancillary spaces for the wider hotel, and surrounding car park and landscape works. 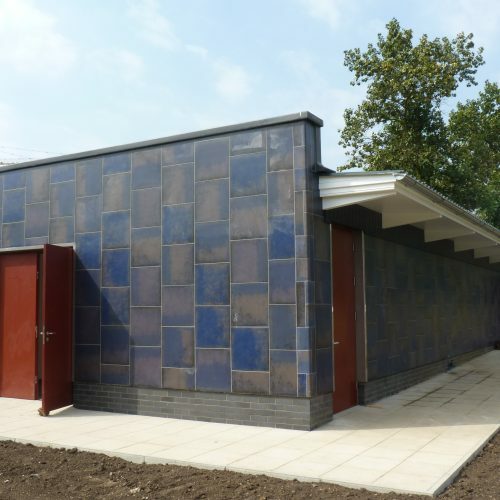 We’re pleased to see the ‘Parks Building’ for Reading Borough Council complete (minus surrounding landscaping), forming parts of the works at Thames Lido. Burwalls Lodge is being carefully pieced together, and the new elements are taking shape. 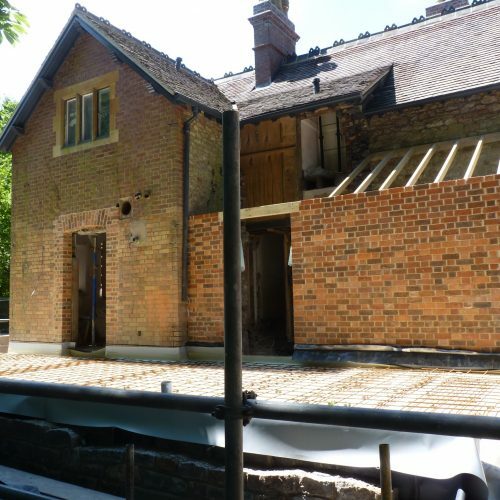 The subterranean extension roof is going in and the new Ground floor level extension brickwork is looking good. 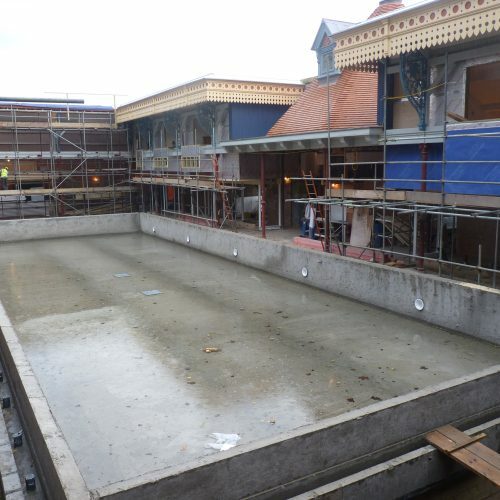 We’re pleased to see the Sauna spaces taking shape at Thames Lido. 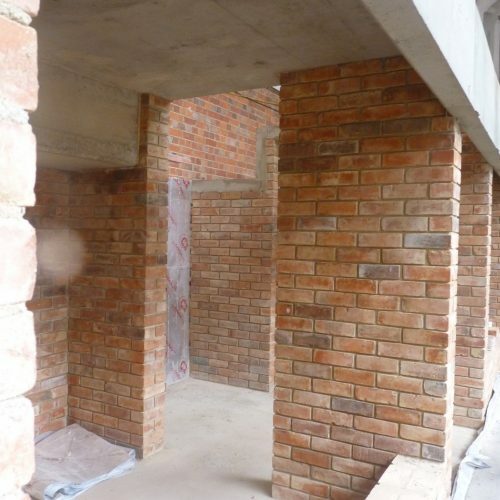 The beautiful brickwork and concrete will be exposed in rooms when they’re finished. 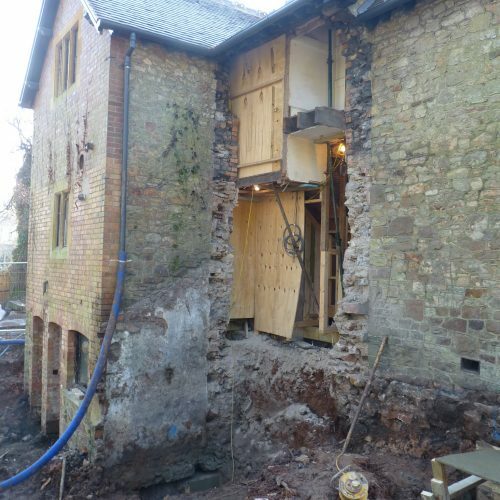 After a wet and difficult winter period, we’re pleased to see the underpinning work drawings to an end at Burwalls Lodge. Meanwhile the team are also making good with the internal refurbishments. 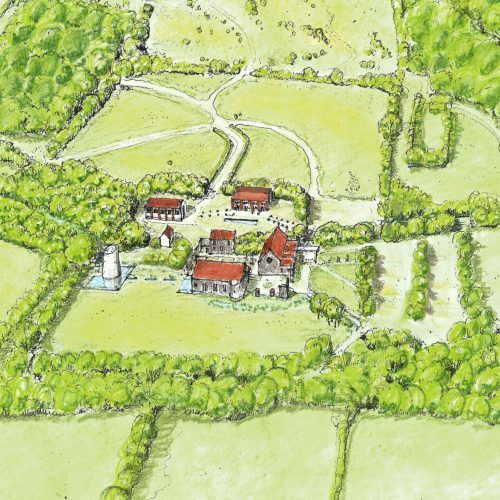 February 2017 – Planning APPROVAL at Memorial Woodlands! Having seen the scheme go before the Planning Committee, we’re delighted to announce that it was strongly supported and has been approved. 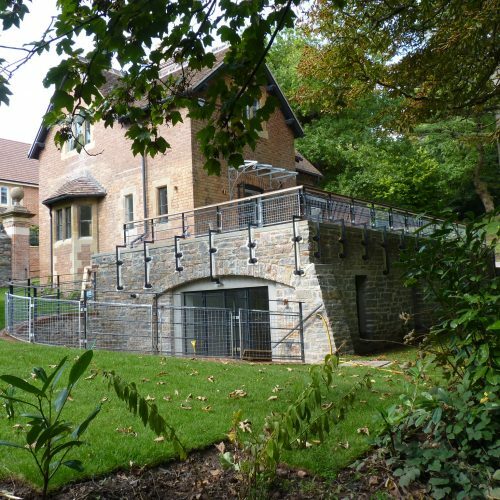 Bristol Memorial Woodlands now have the opportunity, after a long process, to progress their scheme – consisting of a new chapel, reception building, memorial monument and ancillary accommodation. 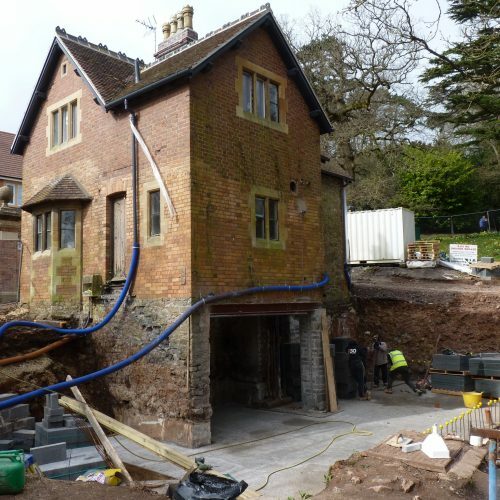 Works are underway at Burwalls Lodge; a substantial renovation and extension will transform this Leigh Woods property. 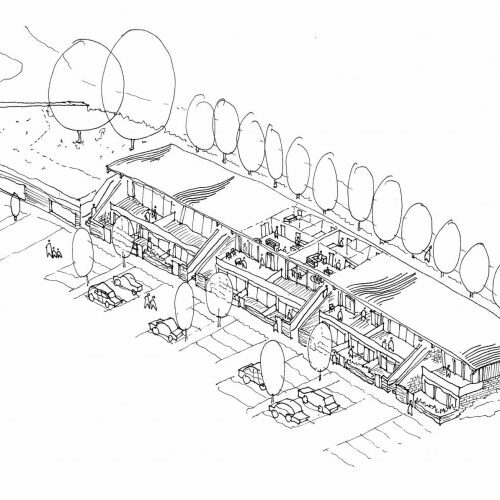 We recently were selected after a competitive interview process to work on a Master Plan strategy at the lake. As the Club nears its centenary, we’ve worked alongside the Development Committee to arrange phased future works across the wonderful site.